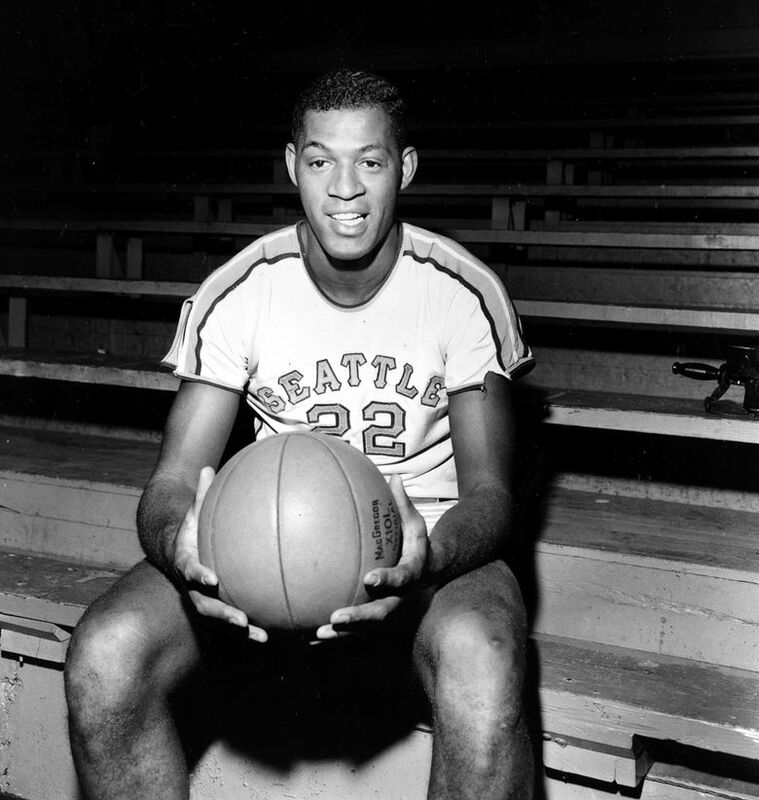 Seattle University had Elgin Baylor, the nation’s best player and some say the greatest college player ever. But the Chieftains also had something that can’t be measured. They were selfless. The players knew and accepted their roles. In schools, restaurants, bars, homes, dining rooms, auditoriums — wherever there was a TV set — the countless thousands watched the Chieftains maul highly-touted Kansas State. — Emmett Watson, legendary Seattle columnist, in March 1958. Charlie Brown has been watching Loyola of Chicago’s amazing run to the Final Four, and it moved him to write a letter to his old friend and teammate, Frank Saunders, for the first time in 25 years. The Ramblers’ run stirred memories. 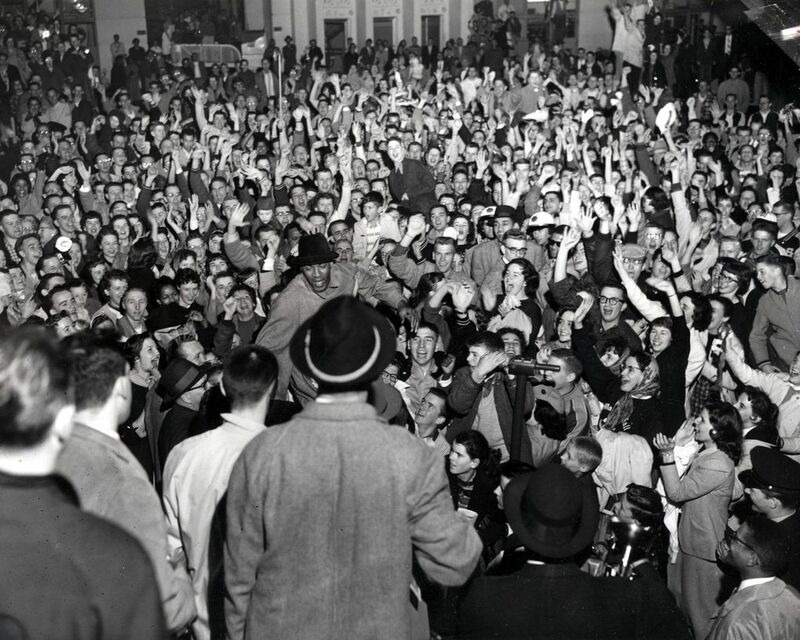 In 1958, Brown and Saunders played for a relatively small Jesuit school that made an improbable run to the NCAA men’s basketball title game. That team was Seattle University. 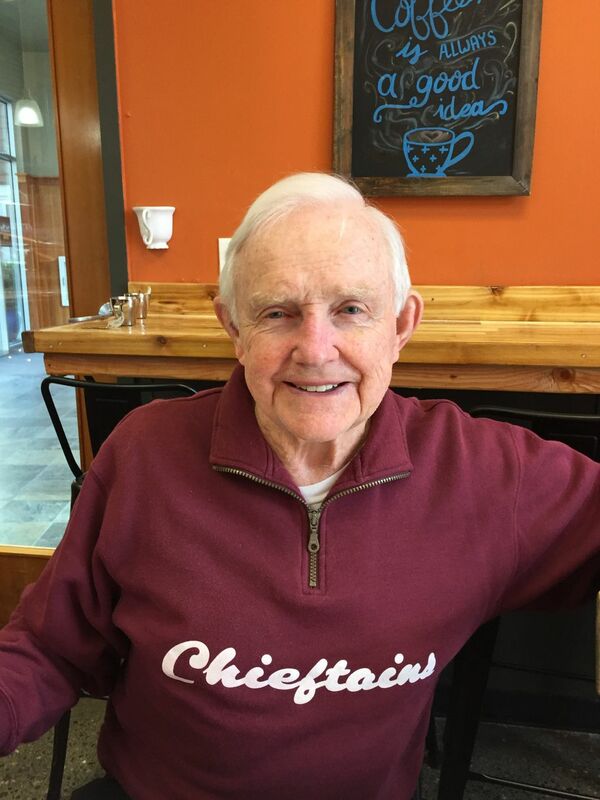 Sixty years later, memories of individual games are fading for some of the old Chieftains, but their bond and improbable run remain crystal clear. They were the darlings of the city in March 1958. People couldn’t get enough. More than 6,000 people greeted them at the airport after they earned a trip to the Final Four with dramatic back-to-back wins over San Francisco and California. Seattle U, ranked No. 18 before the tournament, seemingly had no chance to go far. But it had Elgin Baylor, the nation’s best player and arguably the greatest college player ever. But the Chieftains also had something that can’t be measured. They were selfless. The players knew and accepted their roles, from Baylor to the last guy on the bench. 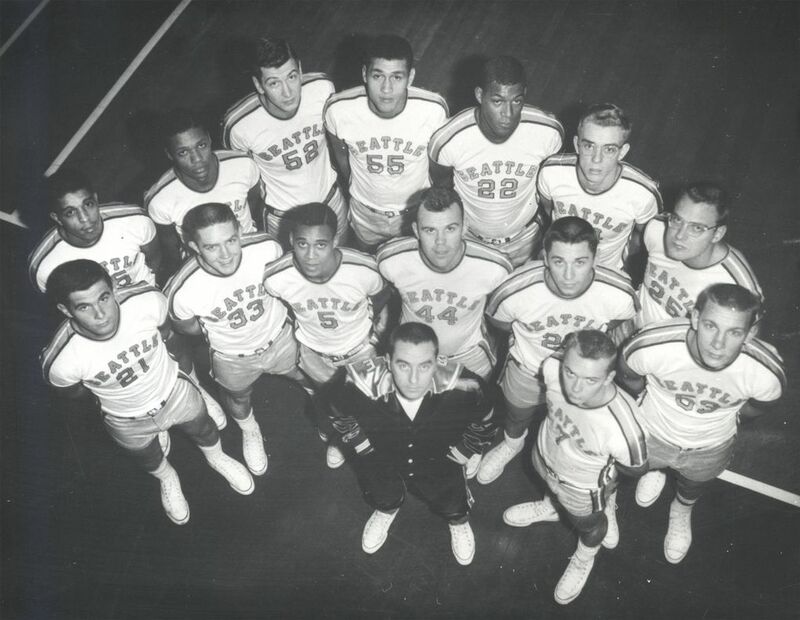 They had Jim Harney, a senior and team captain, and the only player on the roster from the Seattle area. They had “Sweet” Charlie Brown, a transfer from Indiana who hit two big shots that sent Seattle U to the Final Four. They had Saunders, a great shooter who was “dragged” to Seattle by his friend Baylor — and they had a whole lot more. And Baylor, as happy to pass as to score, appreciated his teammates. Then and now. It made for a very dangerous team, as Kansas State discovered in the national semifinals in Louisville, Ky. The Wildcats, ranked No. 1, had a huge size advantage. No one gave Seattle U a chance. But after Seattle U pulled off a shocking 73-51 win, the Chieftains seemed destined to win it all against Kentucky, despite the title game being played about an hour from the Wildcats’ campus in Lexington. History shows Kentucky rallied to win the NCAA title with an 84-72 victory. Baylor was hampered by broken ribs and early fouls he says he didn’t commit. It spoiled one of the biggest nights in Seattle sports history. For the players, it’s still hard to accept. Certainly, he is the only basketball player within memory who can jump into the air and change his mind three times before he hits the floor. — Georg N. Meyers, Seattle Times sports columnist, on Elgin Baylor after the team’s run to the final. Harney remembers where he was sitting, and who he was sitting with the first time he saw Baylor, the team’s new transfer. Baylor was playing three-on-three with some varsity players. There was no one for Baylor to be likened to. No one played like him. He could shoot, pass, rebound, defend and had amazing court vision. But what made him unique was his athletic ability, the ability to hang in the air like no other. Baylor, 6 feet 5, could not only outrebound much bigger players, he could outrebound entire teams. He led the nation in rebounding as a sophomore with an average of 20.3. As a junior, he had 35 in one game and 37 in another. He averaged 30.6 points as a sophomore and 32.5 as a junior, second in the nation behind Oscar Robertson. He scored 60 in a game, and in one five-game stretch, he averaged 47.6 points. Baylor, from Washington, D.C., went to College of Idaho as a freshman and averaged 31.3 points for the NAIA school. When it eliminated basketball scholarships after that season, Baylor sought a bigger school and bigger competition, which Seattle U offered. Another reason Seattle U got Baylor was his fascination with the school’s famous alums, twins Johnny and Eddie O’Brien, who led Seattle U to new heights before graduating in 1953. Baylor discovered the talk was true, and soon after that, Johnny O’Brien was his coach. Baylor had to sit out a season because of transfer rules and played for the Westside Ford team O’Brien coached. Baylor averaged 33.9 points. Saunders had long known that Baylor was special, having grown up with him in Washington, D.C., and having played together on the playgrounds and high school. Baylor was the unquestioned star. That there was no jealousy is a testament to Baylor and his teammates. “One thing you knew for sure, he was an A1 team player,” Saunders said. “He was everything. Top scorer, top rebounder, top assist man and everything else. But he was a team player. Detractors said that it was all Baylor, a one-man team. … The ‘solid teams’ will kill the Chiefs, said the forecasters. So when the Chiefs drew the ‘solidest team’ in the nation, Kansas State, they played the Staters’ own game and made them look clumsy. — Georg N. Meyers, March 1958. Jim Harney grew up in White Center, and was a basketball and baseball star at Seattle Prep. He idolized the O’Brien twins and wanted nothing more than to get a scholarship to Seattle University. At 5-10, Harney was a point guard before there was such a term. He averaged 6.8 points, but his value went beyond points. “Jim Harney deserves a lot of credit for keeping us all together,” Castellani said. Jon-Lee Kootnekoff, a reserve from British Columbia, said Harney does not get the credit he deserves. “He brought so much passion to our team,” said Kootnekoff, who played on the Canadian team in the 1960 Olympics. Charlie Brown, a high-school star in Chicago, started for Indiana his sophomore season. 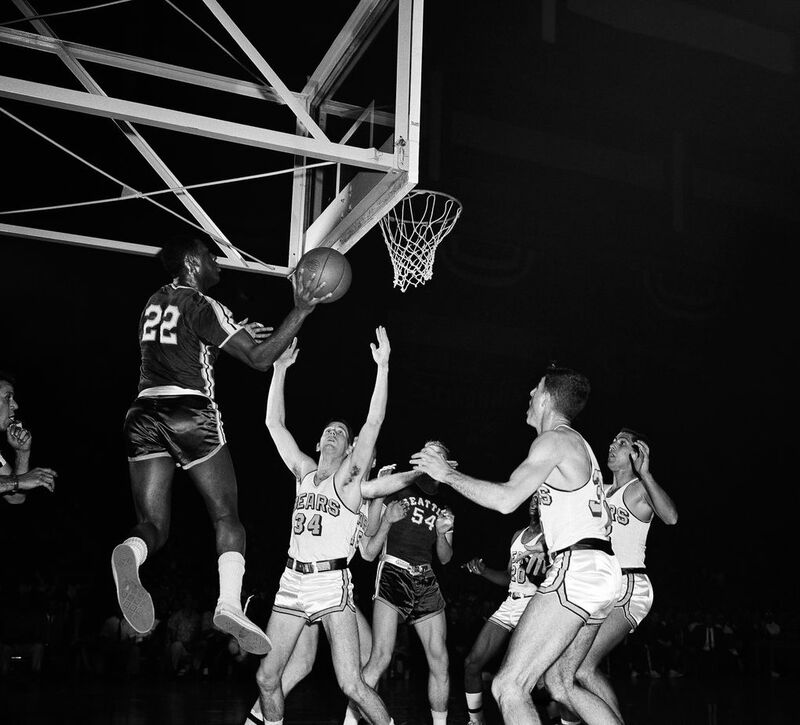 He then transferred to Seattle U and became eligible for the 1957-58 season. He averaged 10.6 points that season, second-most on the team. 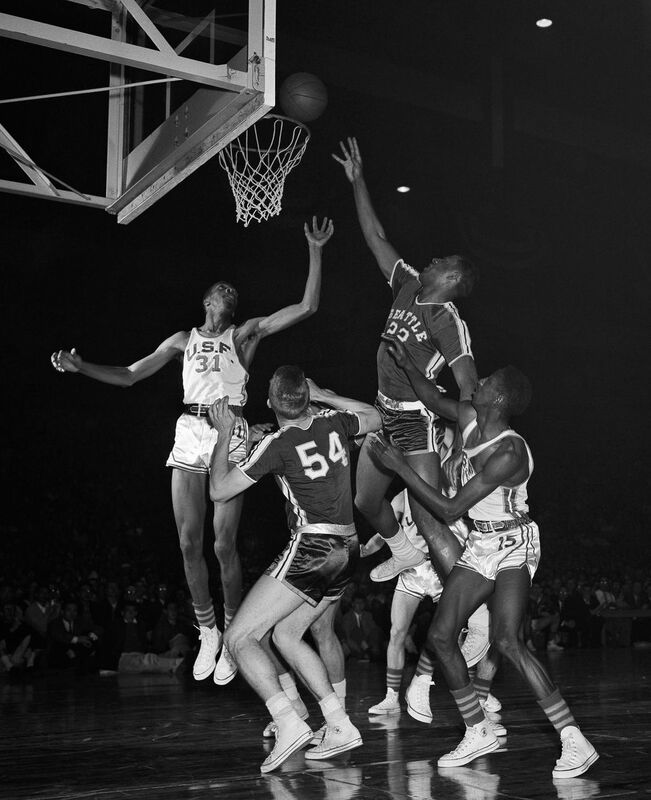 Saunders, a sharpshooting guard who averaged six points in 1957-58, came to Seattle with Baylor. Baylor went home to Washington, D.C., after his year at College of Idaho, and he asked Saunders what he planned on doing in life. Saunders said he was joining the military because he had no scholarship offers. Saunders emerged as a starter in the 1957-58 season, as did Jerry Frizzell, a gifted athlete from Montesano (“as fast as a jackrabbit,” Saunders said), and the only player besides Harney from Washington. Sophomore Don Ogorek, at 6-5, was the closest thing Seattle U had to a post player and became the top reserve after starting early in the season. But everyone mattered, Harney said. Scrimmages were always intense because everyone was engaged. As they would say back at Cape Canaveral, the Seattle U rockets are on the launching pad and missiles chief Johnny Castellani has his finger on the firing switch that could send them into orbit. — Royal Brougham, Seattle P-I sports editor. 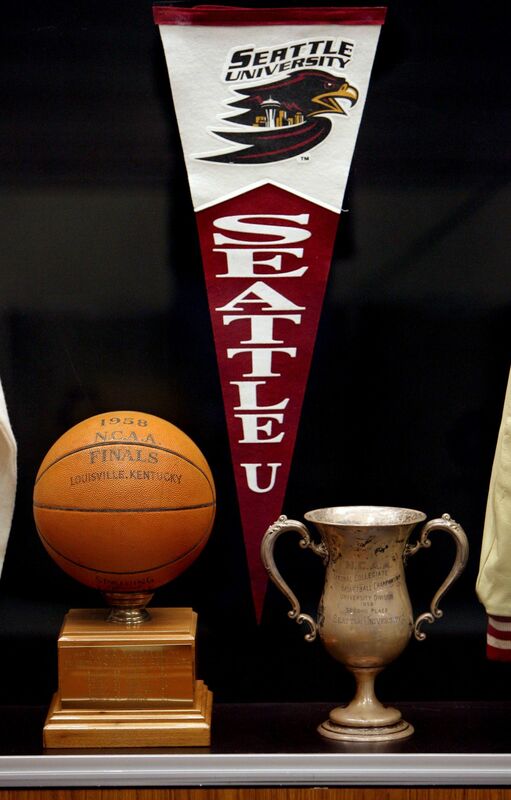 Expectations were sky high at Seattle University for the 1957-58 season. The year before, the Chieftains finished 24-3 and ranked No. 5. The pressure was on second-year coach Castellani. He had replaced the popular Brightman, who resigned a week after an incident in the NCAA tournament in 1956. In a consolation-game loss to UCLA in the NCAA regional, Brightman confronted Bruins coach John Wooden during the extremely physical game, then reportedly tried to fight Wooden afterward. Castellani, a 29-year-old assistant at Notre Dame with no head-coaching experience, took over at Seattle U. The Chieftains had a dreadfully difficult schedule in the 1957-58 season, and when the team fell to 4-5 after a pair of losses in New York, Castellani was hung in effigy on the Seattle U campus. But then the team got hot. The Chieftains won 16 of their next 17 games heading into the NCAA tournament. They were rolling, but were ranked just No. 18 and getting no love nationally. But the players were supremely confident. They had a great team, and they had Elgin Baylor. “Hail to the Chief” is the way the song goes. They can sing it twice, for Elgin Baylor and for Sweet Charlie Brown. They can sing it three times, this one for captain Jim Harney and all of the other Seattle players who beat two of the finest defensive teams in America. — Brougham. Seattle U crushed Wyoming 88-51 in its NCAA tournament opener without Harney, who had injured his back. Two nights later, Seattle U was trailing by seven in the second half against fourth-ranked San Francisco, playing in its home city in the Cow Palace. Saunders wasn’t playing because he suffered a facial bone fracture in the win over Wyoming, and Harney, though not completely recovered, begged Castellani to put him in. With Harney distributing the ball, the Chieftains came back and the score was tied at 67 when Seattle U called a timeout with 10 seconds left. It went in. His 34th and 35th points of the night. Baylor’s teammates hoisted him and paraded him around the arena. The next night was just as tense. With Seattle U trailing Cal by two, Brown hit a mid-range jumper with 10 seconds left to send the game into overtime. Then, in overtime, he made a 25-footer with 10 seconds left to break a tie and lift Seattle U to a 66-62 win over the Bears. Brown was called a hero in the newspapers, but he doesn’t see it that way. “If Elgin had not hit the game-winner the night before, we would not have even gotten to the Cal game,” he said. They were all heroes in Seattle. A huge crowd at Sea-Tac Airport greeted them with chants of “Go all the way, Chieftains.” They were headed to Louisville and the Final Four. And thus ends the beautiful dream of a city, a university, and a team. Captain Harney and his boys gave us all a zillion thrills while it lasted. — Royal Brougham, the day after the title loss. The experts said Seattle U had no chance against Kansas State and its ballyhooed front line that measured 6-9, 6-8 and 6-8. Baylor, at 6-5, was the Chieftains’ tallest starter. But in the first half, Baylor had 13 rebounds, as many as the Wildcats’ front line combined. It only got better in the second half. Baylor had 23 points and 22 rebounds overall and Seattle U crushed the Wildcats. It was so lopsided Kootnekoff got his moment of glory. “The (starters) were so good that the Shock Troops — the second-stringers, so to speak — were allowed to come in,” he said. “I come in, get a pass from Elgin, and it went right through my hands. He kind of looked at me and says, ‘Hey, I’ll look for you again.’ He passed me the ball, and I scored my two. Near the end of the game, Baylor took an elbow to the ribs. Later, he learned they were broken. Hampered by the injury, he played the next night against Kentucky. What added to the pain was three fouls in the first 10 minutes. Still, Seattle was in control, leading 29-18 with 7:50 to play in the first half. But to protect Baylor from getting another foul, Castellani had the team go into a zone defense and slow the pace. It didn’t work, a bad strategy according to Harney and Saunders, as the Chieftains had played zone defense for only a few minutes all season. The Wildcats guards started sinking outside shots, and Seattle’s lead was just 39-36 at halftime. The Chieftains built the lead to 44-38 three minutes into the second half when Baylor was called for a fourth foul, one he also disputes. Kentucky meanwhile took advantage against the zone, taking the lead with six minutes left in the game. Seattle trailed just 68-65 with about three minutes left, but Kentucky had the momentum, and soon the title. Baylor, not himself with the rib injury and foul trouble, had 25 points on 9-of-32 shooting. “It was both, the injury that I had and the fouls,” Baylor said. Harney said Kentucky coach Adolph Rupp’s strategy to continually drive the ball at Baylor to try to get him into foul trouble worked perfectly. The counter moves by Castellani failed. And Kentucky, which had three guards who later played in the NBA, had no trouble scoring against a zone defense. It’s the chemistry that makes the difference. If you have the chemistry, brother, you are going to win a lot of games. And at Seattle U in those years we had Elgin there, we had the chemistry. — Seattle U’s Frank Saunders. One month after the title game, Castellani was forced to resign after being caught giving two recruits improper benefits. Seattle U was put on probation and given a two-year postseason ban. Castellani was hired as coach of the Los Angeles Lakers in 1959, then fired at midseason with the team at 11-25. He went to law school and became a prominent lawyer in Wisconsin, working well into his 80s. Even now, the two years at Seattle U remain a highlight of his life. Baylor skipped his senior season after being drafted first overall by the Lakers. He became one of the NBA’s all-time greats. After retiring as a player, he spent a few seasons as coach of the New Orleans Jazz and 22 as general manager of the Los Angeles Clippers. On Friday, the Lakers are honoring Baylor with a statue outside Staples Center. Later this month, his autobiography, “Hang Time,” will be released. He said his time at Seattle U means more now. Harney did what he set out to do: coach and teach. He spent eight years as head coach at Seattle Prep and then 24 at North Kitsap in Poulsbo, winning 366 games. He was inducted into the state coaches Hall of Fame in 2002. He continues to be an assistant for the boys team at North Kitsap. “I just really enjoy working with the kids,” he said. 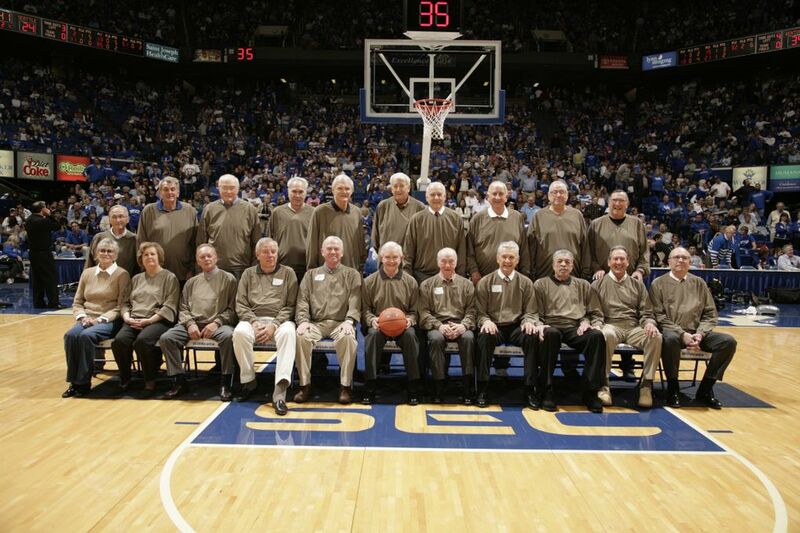 Harney was credited with keeping the team together when it played, and he keeps it connected now, though it hasn’t gotten together since a 50-year reunion hosted by Kentucky. Four of the players have died. Brown averaged 18 points the next season and was drafted in the fifth round by the NBA’s Cincinnati Royals. Instead, he joined the Army before returning to Chicago and becoming a social worker for the YMCA. He spent decades refereeing basketball games in the Chicago Public League and later founded the Windy City Senior Basketball League, which he still helps direct. Saunders, who averaged 11 points his senior season, went on to a successful career in the military, and lives in Mitchellville, Md., a suburb of Washington, D.C. He enjoyed getting the rare letter from his old teammate last week. “Charlie’s not a prolific writer,” he joked. Kootnekoff did not return to the team the next season, but got his degree at Seattle U. He taught and coached for several years at Simon Fraser University. He settled in Penticton, B.C., is a motivational speaker, has written two books and loves talking about the special group the 1957-58 team was. “Our team had soul and passion,” he said. And the Chieftains had a season they won’t forget. The only thing missing was a happy ending. Oregon State L, 63-55 Corvallis, Ore.
Bradley W, 82-76 Peoria, Ill.
San Francisco L, 60-51 Louisville, Ky.
Montana State W, 108-83 Seattle. Portland W, 84-80 Peoria, Ill.
Montana State W, 78-77 Bozeman, Mt. Wyoming W, 88-51 Berkeley, Calif.
A look at the Chieftains, who reached the NCAA title game. Elgin Baylor, Jr. 6-5 32.5 Beverly Hills, Calif.
Frank Saunders, Jr. 6-2 5.7 Mitchellville, Md. Jon-Lee Kootnekoff, So. 6-2 1.2 Penticton, B.C. Bill Wall, Jr. 6-2 0.5 Altamonte Springs, Fla.
Bob Siewarga, So. 6-2 0.0 Perth Amboy, N.J.